Television hasn’t changed much since its inception. Neither did radio. Both technology got better and better but at the core, they’ve remained the same. Watching TV or listening to radio today is pretty much similar to what it was 10 years ago except the fact that we have various added benefits like HD and digital picture. However, with the advent of the Internet, both television and radio have lost their exclusivity. Earlier, either for watching your favorite show or for listening to your favorite radio channel you needed a device. But now, you can grab all your favorite shows, movies, and songs either on Netflix or on iTunes. That said, none of these aforementioned sites have managed to mimic the TV-viewing and the radio-listening experience as much as Hulu, Pandora, and Last.fm have. While Hulu gives you access to the latest shows, Pandora acts like your personalized radio station. The same with Last.fm, as it lets you listen to your customized Internet radio stations. 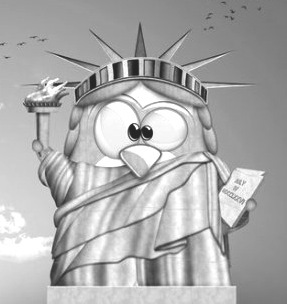 Having said that, these services don’t really work outside the United States. For those who are not in America, these services are either completely closed or are available with limited functionality, which, many people think is quite a bummer. Thankfully, though, there is a neat little workaround for the problem. All you need is a Linux desktop, a computer, or, for that matter, any other computer with an Internet connection. For this guide, we’ll stick to the Linux configuration. The service that lets you access those restricted sites outside the U.S. is called Tunlr. The service is, as to speak, ‘installed’ when you change your DNS address to Tunlr’s servers. A small amount of traffic then gets routed through their servers thus letting you access Hulu, Pandora, ABC, and many other US-only sites without any proxies or cheeky software. To get started with Tunlr, simply go to the network indicator and select ‘Edit Connections’ from the drop-down menu. 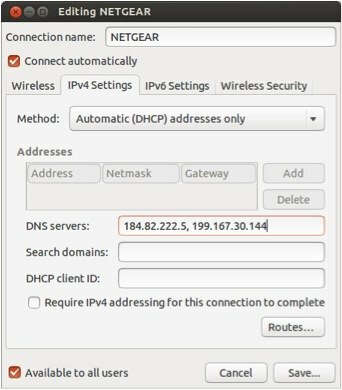 From there, select your connection be it wireless or wired and click on the ‘IPV4’ settings tab as shown in the screenshot. 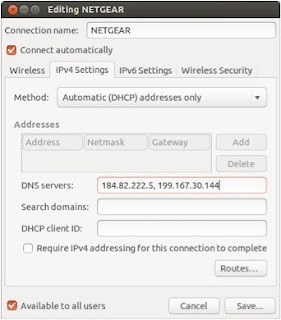 Change the Method to Automatic (DHCP) addresses only. Once done, disconnect and reconnect to your network and start watching your favorite sites in their full glory. Once saved, you’ll be able to access Hulu, Pandora and other US-only sites as long as you don’t change the settings. However, that doesn’t mean that you should keep those settings on forever. Using their servers puts considerable load on the server, so use them only when you need to. Sites supported include CBS, FOX, Vevo, Discovery, MOG, Rdio, iTV Player and many more. Although I don't personally run Linux, this is going to be very helpful for people. Linux developers need to step it up and make all of this easier and more "the norm" for the end user. Megan, You don't run Linux but you want Linux developers to make this the norm for you. Here's how things work in the Linux community, you find something that doesn't work and you come up with a solution to make it work and then let everyone else use it and tweak it. It's not like you call customer service and complain that something doesn't work like you want and those darn developers better get it fixed!